Board Presses for Raw Lifters - Will they increase your bench press? →Board Presses for Raw Lifters – Will they increase your bench? At some point in your lifting journey, progress is going to stall slightly, or you are going to find a certain weakness with one of your lifts. In such a situation, it is only natural to seek out some options to help you overcome this plateau. Will board presses help a raw bench press? 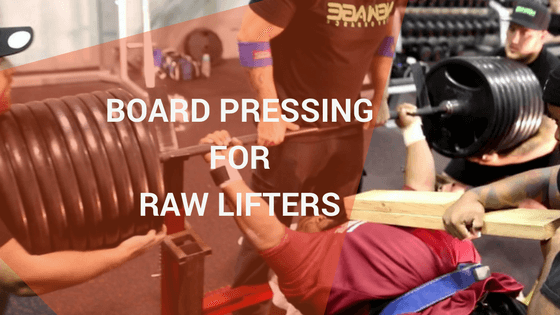 This article will give you an idea of how useful board pressing is for raw lifter as well as some tips on how you may be able to use them for your own training. 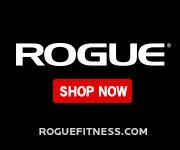 Should beginners use board presses? A board press is exactly how it sounds. It is a bench press variation where you lower the bar to a wooden board, instead of your chest, to decrease the range of motion of the exercise. Each board is usually made from a piece of wood around 2” thick. So a 2-board would be somewhere around 4” in thickness. The common range for a set of boards is a 2-board up to a 5-board if you want to work on various ranges of motion throughout your training. Board presses found their popularity in equipped powerlifting initially. This is because the bench-shirts worn change the strength curve and make the lift harder towards the lockout when compared to a raw bench. However, a lot of individuals that bench completely raw have taken to using board presses in their own training, which is why I’m writing this article. The benefits below are for raw lifters and you should keep in mine they are only potential benefits. What I mean by that is each benefit below may or may not be a benefit to you as an individual; it depends on your circumstances (I will cover that later on). 1. Getting extra total volume with heavy weights without putting excess strain on your shoulders. 2. Maintaining some form of bench press during a period of injury. Could you to continue benching while you are working through a shoulder injury. Here is an excellent article on board pressing with shoulder pain from Barbell Medicine. Using a thicker board and reducing the range of motion can allow you to use a larger weight during the lockout portion of the lift. Since the lockout relies heavily on your triceps, this can be an effective way to build some extra triceps strength. I am not convinced this is a great use of a raw lifter’s time since lockout strength is not commonly the issue for them. However, if you are wanting to build bigger and stronger triceps, it is much more specific and likely to have better carry over to the bench than many other triceps exercises. Using board presses to overload a specific portion of the movement may help some people gain more confidence with heavier weights. The shock of feeling a heavy weight in your hands for the first time can be quite daunting so I could see why some people benefit from this. From a personal perspective, the point of a lift where a new weight feels the “scariest” is just as it is about to hit my chest. In this situation overloading with board presses is not going to help. This is probably the most common use for using board presses. As I mentioned earlier, it is much more prevalent in equipped lifting due to the use of bench shirts. When it comes to raw lifting, sticking points tend to be in the lower portion of the lift and comes as a result of not having enough power or momentum off the chest. If you do have a genuine sticking point that can’t be fixed by improving technique and speed in the bottom part of the lift, board presses could certainly be useful. You want to build bigger triceps with a bench-specific movement. You have an injury that is currently preventing full range of motion presses. 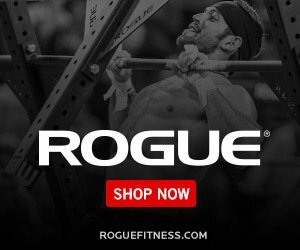 You really do have a sticking point as you approach lockout that can’t be fixed by improving technique or bar speed off the chest. For raw lifters, specificity is crucial, so I don’t ever really see a need to replace your bench press with a board press for extended periods of time. Of course, you may have a training session where the focus is your board press, but you should still be spending a lot of time on the raw bench as it is done in competition. 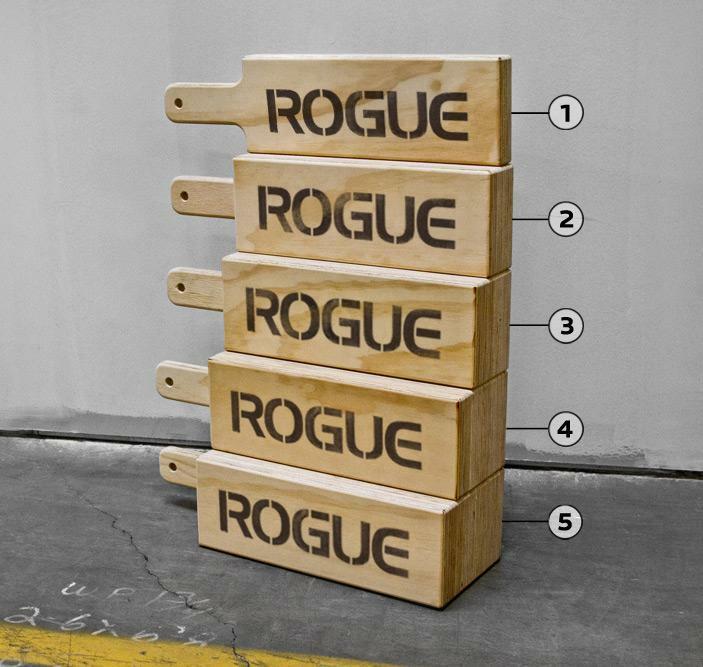 If you are using board presses to enhance your lockout strength, be sure to select the right height board. You should work from a board slightly below your actual sticking point since this will be where you are actually losing your momentum. They eliminate the need for carrying large planks of wood in your gym bag and you don’t need a partner to hold the board. It’s a simple bit of kit that works well for board pressing. Click here to have a look at BenchBlokz on Amazon. The vast majority of new lifters have no business messing with board presses. The only time where there may be a case with them is for cutting range of motion during injury rehab. Otherwise, beginners need to focus on performing their basic lifts with the correct frequency and mastering the technique in those. Newer lifters have so much room for all-round progression that just getting stronger in general needs to be the target. To wrap this up quickly, I think most raw bench pressers will need to spend time on improving bar speed off their chest before deciding they have weak triceps. This usually requires enhancing technique and maximising tightness as the bar reaches your chest. I may write longer articles on each of those subjects in the future but the advice in this bench press post from Mike Tuchscherer is golden. If, after reading this, you do feel your in a situation where board presses could increase your bench press then simply give them a try. After all, that is the only way to know if they will benefit you for sure. As with any new method or technique, give it long enough to see improvements (at least 3 months) and then reassess the effectiveness after that.